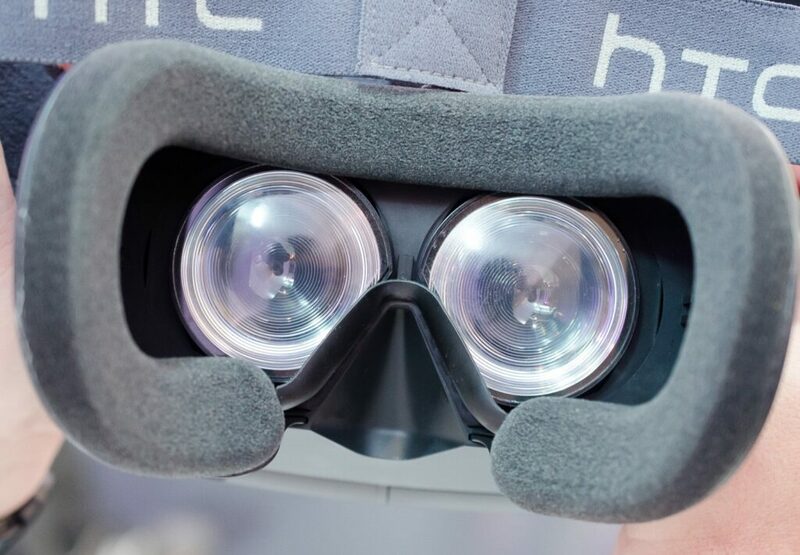 HTC has partnered up with gaming’s behemoth Valve, and are on course of releasing a VR headset. It will be available for commercial use later in 2015. The Developer Edition will be available this Spring, with headsets being shipped for free to a select few. If you want to be amongst those who plan on creating virtual worlds, you’ll need to apply and hope that you are selected to be on the list – at this time we don’t know where, and when you can apply, but rumours have it that a form will be up and running on htcvr.com next week. HTC Vive Developers Edition will come paired with two singled-handed controllers and a system that tracks them all in the same absolute space. With so many VR headsets being released in the near future – Facebook-owned Oculus Rift, Sony’s Project Morpheus, and Samsung’s Gear VR Innovator Edition – it’s really hard to decided on what to buy. Mostly, we would like to choose a headset that stands apart from the rest. What makes the Vive stand out? HTC Vive will root its users in real space, meaning that the headset will map out the room and it will select various scenarios for you to play in – it alerts the player when he, or she, gets too close to a real-life object. This feature will be called Room Scale Experience, and by plastering the entirety of a room, the developers are hoping to immerse players into a virtual world that also has a touch of reality. HTC’s name may confuse a lot of people in thinking that they would need a smartphone to use the gear with – like Samsung’s Gear VR needs a Galaxy Note 4 – but this isn’t the case. Users will be able to connect the device to a PC where magic will await. HTC has also stated that the headset will offer ” high quality graphics, 90 frames per second video and incredible audio fidelity.”, and we can only dream of forgetting ourselves in beautiful beaches battling demon hordes from the Abyss. Another thing that will differentiate the Vive from other headsets will be the controller – it’s a hybrid between a touchpad, and a control stick. It’s mostly based on Valve’s Steam controller. We can only expect great things from the Vive. Just think of the endless possibilities for gaming that it can offer by partnering up with Valve. 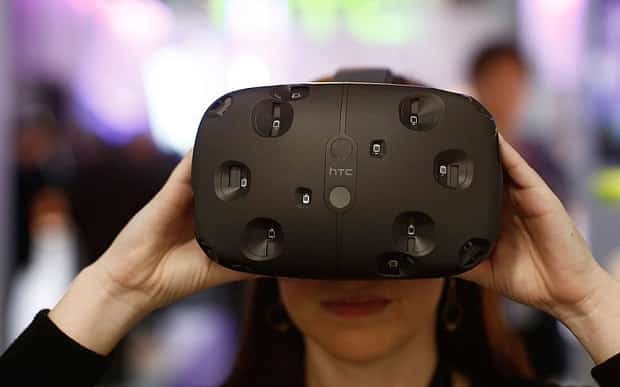 HTC’s VR homepage has stated that their collaboration will be for the long run, and to expect more content in the future from both of the companies – ” The Vive headset was developed in conjunction with Valve, creators of such ground-breaking games as Portal and Half-Life. HTC manufactures some of the finest consumer electronics on the planet and Valve is an unrivalled architect of virtual worlds, so you know the collaboration is something special. Vive is powered by Valve’s SteamVR so plenty of games that take advantage of its capabilities will soon be available on the Steam service.”. The thing about creating VR apps is to have virtual reality in mind – you can’t just port any game and expect to offer a fulfilling experience. We will see a lot of failures be released. A lot of tech aficionados have tested the headset in Barcelona at the beginning of March, and have only expressed positive reviews regarding their demo experience. In one word – amazing! Valve isn’t the only content creator! Valve isn’t the only company HTC has chosen as an ally – HBO, Lion’s Gate, and Google have been announced as content partners. Imagine yourself in George R.R. Martin’s Westeros, trying to fend of white-walkers, exploring the judicial system in Orange is the New Black, or just simply a 30 minute trip in Jamaica, followed by a hike on the Everest, with the help of Google Earth. The thing that makes me wonder is if they have found a solution to the motion sickness that the majority of VR users have experienced – one would enter a state of nausea and dizziness for a couple of minutes during, and after using headsets. This isn’t limited to the Vive. Oculus Rift owners have complained time and time again about this being a crucial issue that puts a huge dent in their experience. It has been hinted that a solution is in works – by adding a virtual nose, our brain will be tricked into thinking that we haven’t lost our balance margin. These are just rumours at this point, but we are curious if this is the case. This will most likely not be the last VR Valve-Powered headset we will see hit the markets. With their SteamVR store they are planning on hitting the market strong with a hub full of games, and movies for users to enjoy. Suddenly it seems like the industry is filled with contenders that will fight to the death to be known as champions of the arena. Unfortunately this isn’t really good news for us. Companies will fight for the right of exclusivities, and if you want to experience everything – from apps, games to movies – we will probably need more than one headset. We can only hope that most of them will be made cross-platforms, but when you think about how differently each headset has implemented virtual reality, that hope is shattering slowly, but surely. There are a couple of games that are on roster of Oculus Rift that we are hoping to see on Vive. Games that might be ported for the Vive! 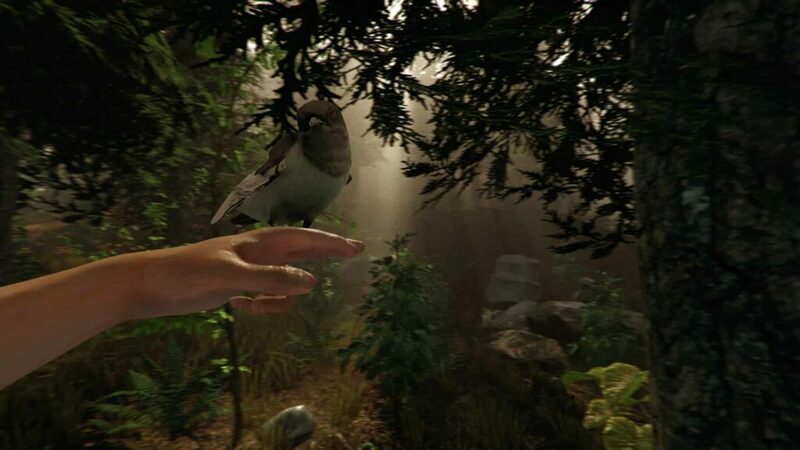 The Forest is a beautiful survival horror games that forces the player to think fast, and find solutions almost immediately. After having crashed landed on an island, you and another boy are the sole survivors, but not the sole inhabitants. You soon find out that cannibals have infested the island and you need to fight your way to freedom, and escape the atrocities. By day the player needs to craft weapons, construct a suitable home – when I say suitable I mean you need to build a fortified house if you want to live and tell the tale – and hunt for food. Exploration is key to surviving the game – it is recommended to explore every square inch of the map, because you don’t know when you’ll need a quick route to your fort when the night catches you off-guard and outside. By night the enemy attacks, and he is vicious and bloodthirsty. One way you can fend them off is by building effigies out of their limbs – they will take it as a sign of not to mess with you – and another one is the hard way – fight them off with your weapons, and this is a bad idea, because you will be pinned against 2, or maybe 3 enemies at a time. You can manage to kill on, but the others will prove to be worthy foes. The solution is to catch them alone, and tear them apart. Another game that we will be more than happy to able to play on the Vive is War Toons. It’s a first person shooter from Reload Studios. Developers, and artists working on the game are also known for games such as Call of Duty, Home Front, and World of Warcraft, and movies like Frozen, Wreck it Ralph and Who Framed Rodger Rabit. With three classes to choose from – Soldier, Heavy and Officer – War Toons takes the standardized pattern that we all have seen in Team Fortress 2, and similar games, and brings it to the virtual world. Boy, does it look amazing! Eve: Valkyrie is an epic space combat game that tasks the player to explore galaxies, and fight off enemies in the absolute space. 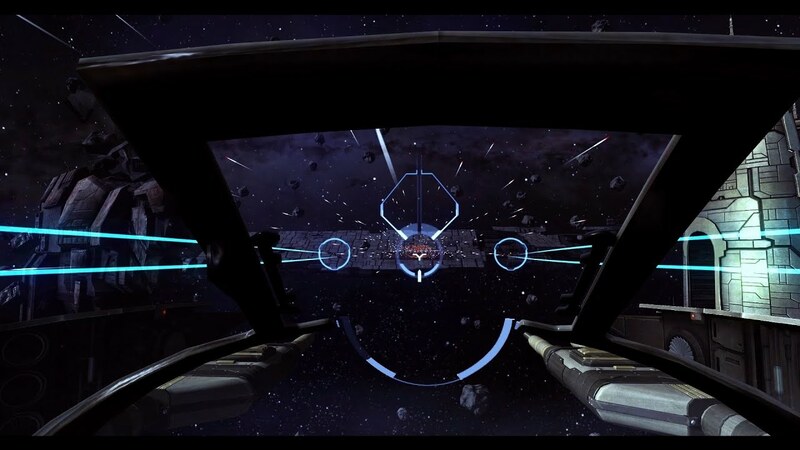 It will also sport a multiplayer side that will give players the feel of a real dogfight. You can see a video of the game in action right here. Will virtual reality gear fail, or will it become our new home entertainment?